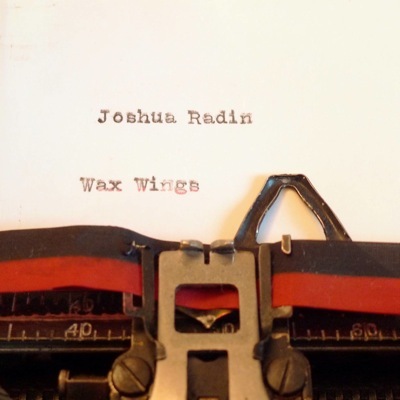 On May 7th, singer/songwriter Joshua Radin will self-release his new studio album. Wax Wings is the fifth full length from the Cleveland-native. 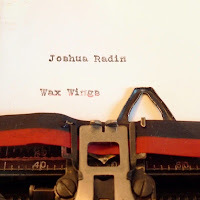 Wax Wings is general a light and uplifting record which mainly relies on relationships for its thematic fodder. Songs like "Your Rainy Days" are not light and fluffy, but they do provide hope. And what do people in relationships need more than hope really? Simple feel good pop rock doesn't get much better than "When We're Together". It's a track that will likely figure prominently on my summertime playlists. Bouncing and bopping along, "With Me" will also have you singing along. "Beautiful Day" is loose and sunny. A number of ballads are sprinkled throughout the album. Some, like the elegant string-laden "Lovely Tonight" pack an emotional wallop. Others, such as the delicately tinkling piano ballad "Cross That Line" fails to spark any excitement. Wax Wings won't go down as a masterpiece of a record, but given a chance it will provide an exceptional soundtrack to your summer of 2013. Best tracks: "When We're Together", "Lovely Tonight"